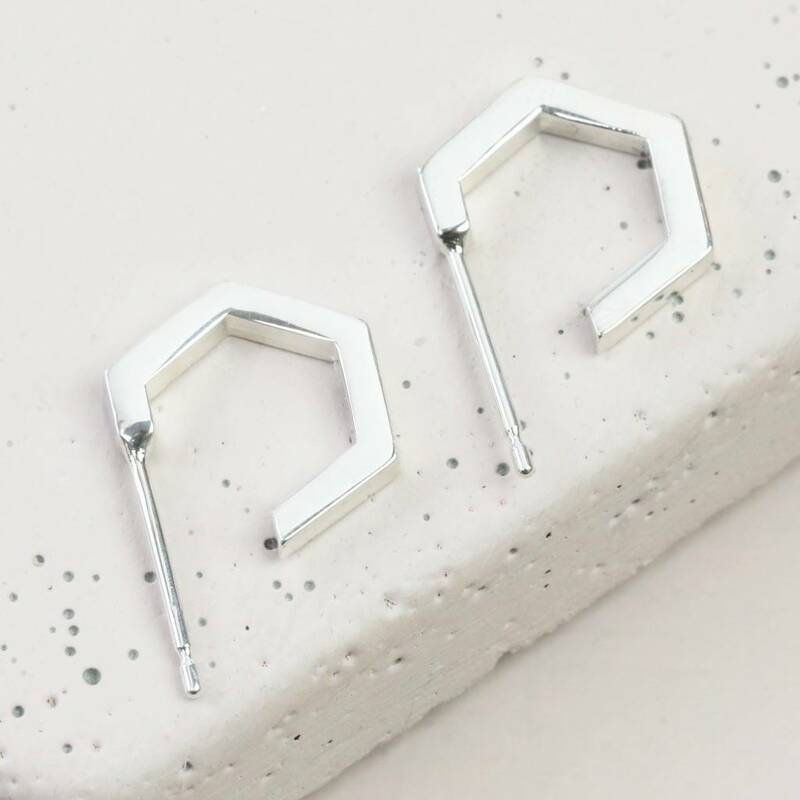 A pair of small geometric stud earrings for daily wear, from the Lisa Angel Delicate Jewellery Collection. 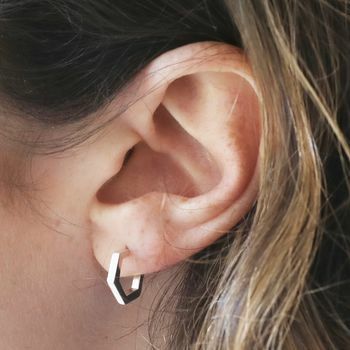 Made of quality hypoallergenic sterling silver, these hexagonal hoops are kind to even the most sensitive of skin types. Simply secure via the easy to use butterfly push backs.